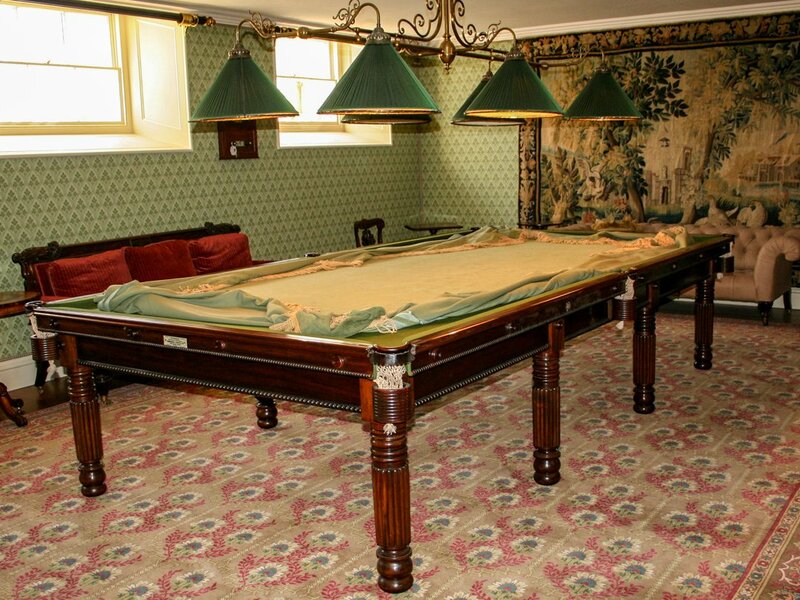 Made by the famous cabinet maker from figured Mahogany, these exquisite early English tables are extremely rare. 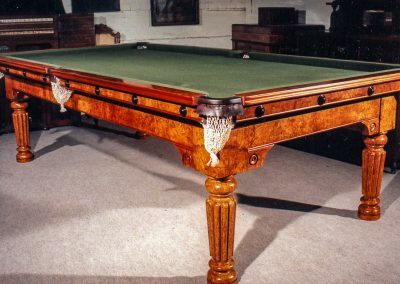 We have had the honour of restoring a couple of these and it is a pleasure to offer reproductions of such a singular table. 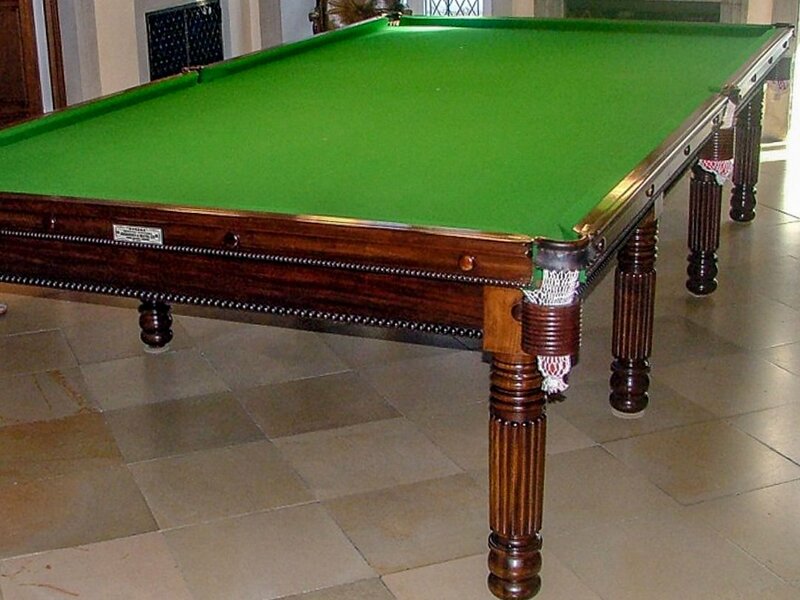 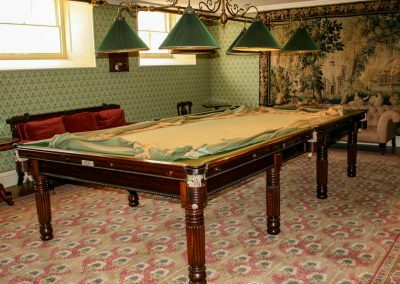 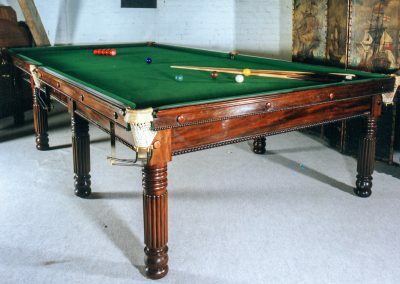 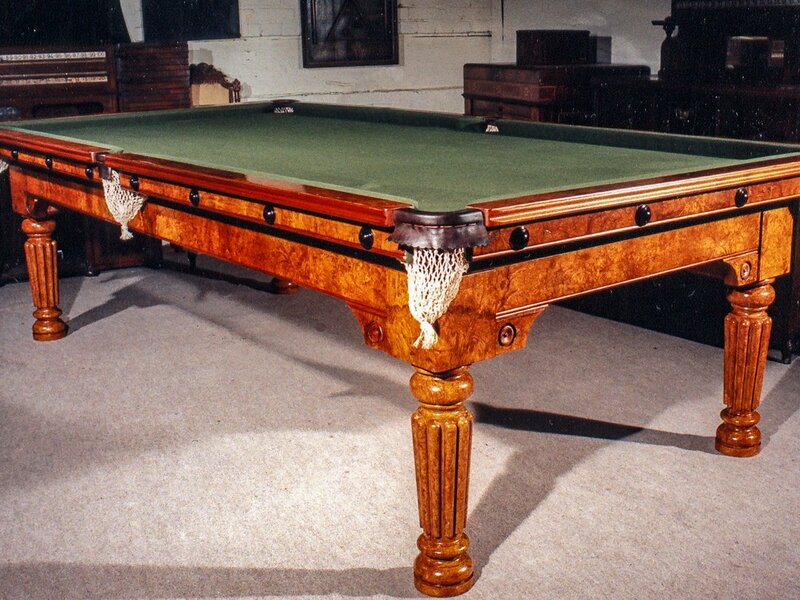 We have made a number of tables in the Gillow-style, or with Gillow legs – including the Empire wind-up Snooker-dining table also shown here. 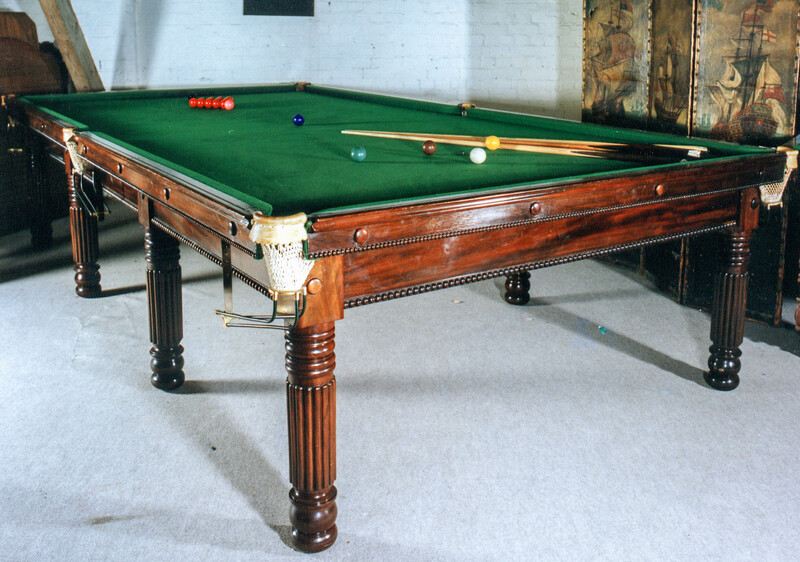 The lights in the last photo are a nice example of the antique style billiard lights we offer. 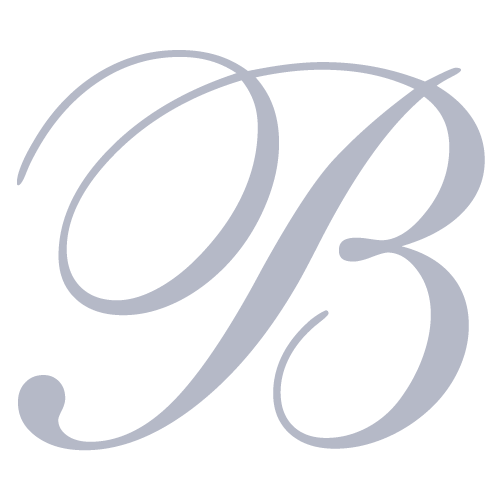 See our ‘Lighting’ for more.